Video: How does soap work? Soap is great for cleaning up after dinner, but what’s the science behind it? We use soap every day to clean up oily messes, but do you know how it works? In this video you’ll learn what soap does on the molecular level — why oil and water don’t mix, what a surfactant is, and why surfactants help you clean your dishes. I made this video because I felt I had a satisfying and intuitive explanation that I couldn’t find elsewhere. I wanted to explain the phenomenon without invoking the concept of surface energy. The original version was made for a class in advanced statistical mechanics. Our assignment was to create a short video on a topic related to statistical mechanics or soft matter physics for a general audience. Once I started making the video, I was drawn in and ended up spending many hours on it. This is an edited and cleaned-up version of the original. 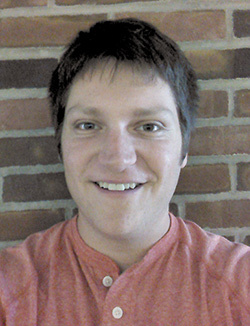 Ben Wiener is pursuing a PhD in physics at Brown University in Providence, Rhode Island. He loves thinking, talking and arguing about physics. In the lab, he works on nanoscale soft-matter physics and electrokinetics. Outside of the lab, he spends his time working on a wide variety of projects ranging from computer programming, electronics and robotics to radio, woodworking and film. You can see some of these projects on his blog, Ben’s Doings. 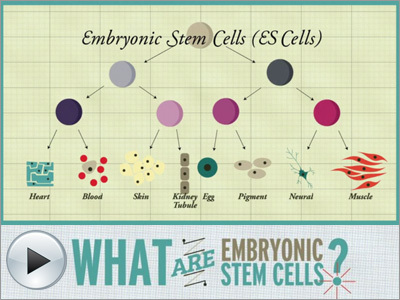 1-minute animation: What is a cancer stem cell? 1-minute animation: What is a retinal stem cell?